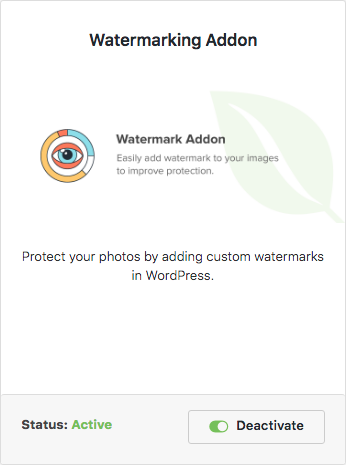 Are you looking to add watermarks on your WordPress images? Adding a watermark to the images can help you protect them from theft. You can add your logo or copyright text as the watermark. In this article, we will show you how to add watermark to images in WordPress. By default, WordPress galleries do not allow you to add watermarks to your images. However we know that image theft is a big problem. That’s why we built-in the Watermark feature in Envira Gallery. Once you have created your gallery, you are now ready to add watermarks to your photos. 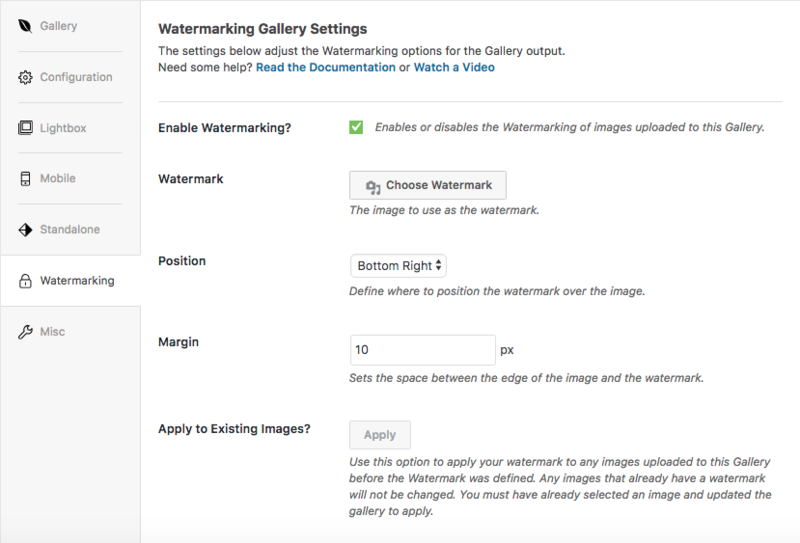 You need Envira’s Watermarking Addon for adding the watermark to your images in WordPress. To access this addon, you must have at least the Envira Plus License. You can go to Envira Gallery » Settings and click on Addons tab. There you need to find the Watermarking Addon to install and activate it. After activating the addon, go ahead and edit the image gallery, and you will see a new Watermarking tab.. Simply click on the Watermarking tab from your Envira Gallery Settings to enable or disable watermark to images in your gallery. Once watermarking is enabled, you can choose your watermark, set the position and margin space. It also allows you to apply the watermark to previously uploaded images in the gallery. After adding the watermark, you can simply click on the Update button. Once the watermark is added, you can’t change it’s position or space. See this demo of how the watermark will appear in your images. We hope this article has helped you to learn how to add watermark to images in WordPress. You may also want to check out our guide on how to protect your website from image theft.